Everyone I’ve ever discussed the concept of trust with has a wide range of emotions related to it. 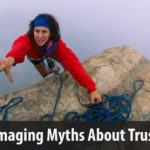 While everyone wants more trust in their relationships, and believes that in an environment of higher trust they will be more productive, less stressed, and generally enjoy their life and work more, we are often stymied, wondering how to reach these greater levels of trust. They have to earn my respect. I have to see that they are honest and dependable. 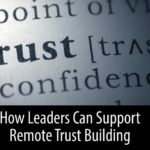 When we see trust in this way, it seems to be outside of our control – we must wait for others to prove their trustworthiness in order for trust to build. Let me propose a second mental model to put into the trust mix: People will generally live up to the trust that we place in them. If you believe this, you might quickly think about the risks – they might lie to me, they might break a confidence, they might . . . (fill in your own biggest fear). If your mind went to these risks, you are right, these risks are real. But the opposite is also true: if you give them the benefit of the doubt, they might live up to it; if you trust them with a confidence, they may keep it; if you give trust, you may get it back. So there are two outcomes of the second mental model – of offering trust in advance: You might get burned and you might build trust. If the trust is worth it, it takes courage to build it. 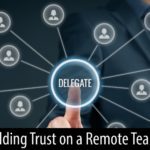 If everyone plays the “wait and see” game, how much longer will it take for trust to build– and how much easier will any setback stall trust for a long time? This reminds me of an important fact about trust – look up the word in your dictionary and you will find it is both a noun (a “thing” that exists) and a verb (something that we do). 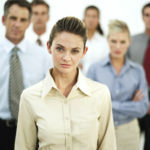 Leaders are people who are willing to go first – to offer trust courageously, knowing that the risk is worth the reward. Further, builders and nurturers of trust know that if they want more of the noun, they “do” more of the verb. Trust certainly is about more than just the words we say and the actions we exhibit – there is a deeper level of trust that can be built consciously, if you are aware of it, and are willing to be courageous. One type of trust is called emotional closeness – it is a measure of the relative number of topics that make for comfortable conversation between two people. If all you ever talk about with someone is the work and the weather (or other equivalent, high-level topics), the amount of emotional closeness in your relationship is small. If you want to build deeper trust through relationships, you must be willing to share more about yourself, and you must risk being rebuffed. 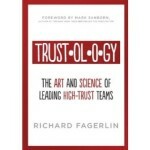 Here’s an example: Let’s say you have a team member with whom you want to build more trust. 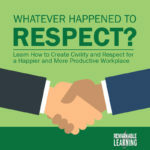 Based on the concept of emotional closeness, you can try asking questions or sharing information that goes beyond what you have discussed before. You could ask about their family, hobbies, or more. If the other person responds favorably, you are on the way to expanding the level of emotional closeness, if both parties follow up by talking about those topics in the future. If, however, you offer up a new topic and it isn’t really accepted, you might feel rejected. 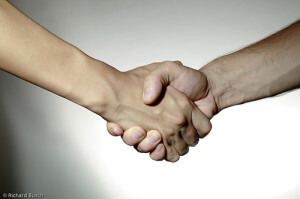 If neither person offers up new topics or tries to build new bonds, this level of trust will not form. Someone must go first – the verb precedes the noun. And this new conversation can’t just be about the other person – simply asking about them feels like an inquisition – to truly build emotional closeness, you must risk rejection by opening yourself up, too – this form of trust will be built through dialogue, not a scripted quiz. Leaders are the people who, knowing the risks, offer more about themselves and honestly care to learn more about others – and this also takes courage. Perhaps you think of courage as being about more dramatic acts – on a battle or a playing field. 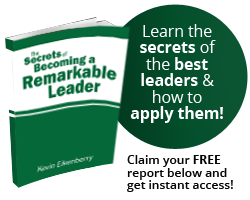 Everyday, courage affects all of us, as leaders – if we want to move towards remarkable, we must be courageous. Offer more of yourself – and see what happens. I wish you great success in these efforts. Remember that building massive trust requires courage – Remarkable Leaders know that courage is worth the risk.